What is lurking inside this musical tin box? Crank the retro-styled Jack-in-the-Box handle to play "Pop Goes the Weasel" as you anticipate that spine-tingling moment where… POP! 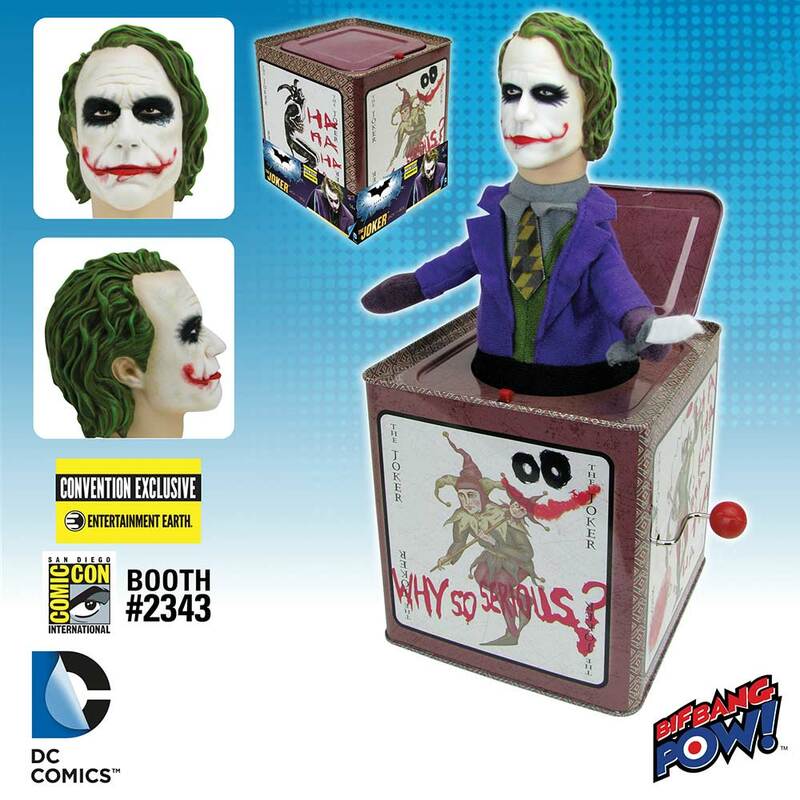 Out comes The Dark Knight The Joker Jack in the Box - Convention Exclusive from Bif Bang Pow!. Inspired by THE JOKER™ costume design and make up from the hit 2008 film The Dark Knight™, this highly collectible Jack-in-the-Box features a detailed plastic head, sculpted by 3D Systems a.k.a. Gentle Giant, with a fabric body. 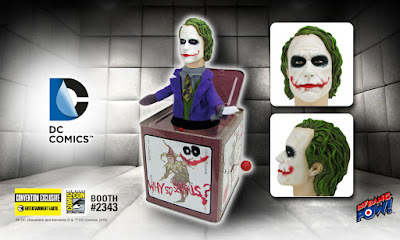 The Joker cards marked with "Why so serious?" 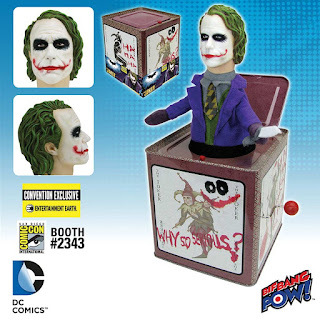 and "HA HA HA" scribbled manically decorate the outside of the tin, which measures 5 1/2-inches tall x 5 1/2-inches wide. Limited to only 3000 pieces, this Entertainment Earth Convention Exclusive is individually numbered with a holographic sticker. Ages 14 and up.